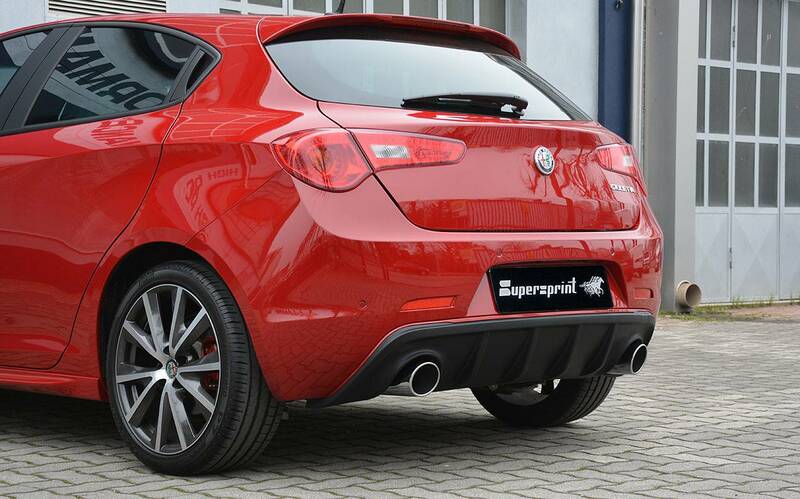 Here is the Supersprint performance exhaust for the 2016 Alfa Romeo Giulietta Veloce 1750 TBi. 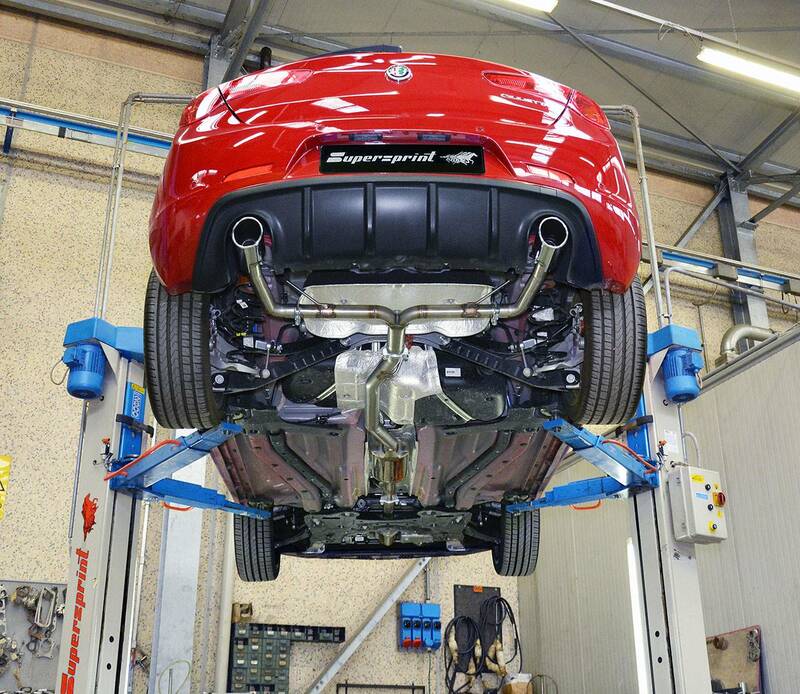 Our Stainless Steel, Oversize diameter system provides for a massive reduction in exhaust gas backpressure, guaranteeing an increase of + 20hp, by simply bolting it on. The std. 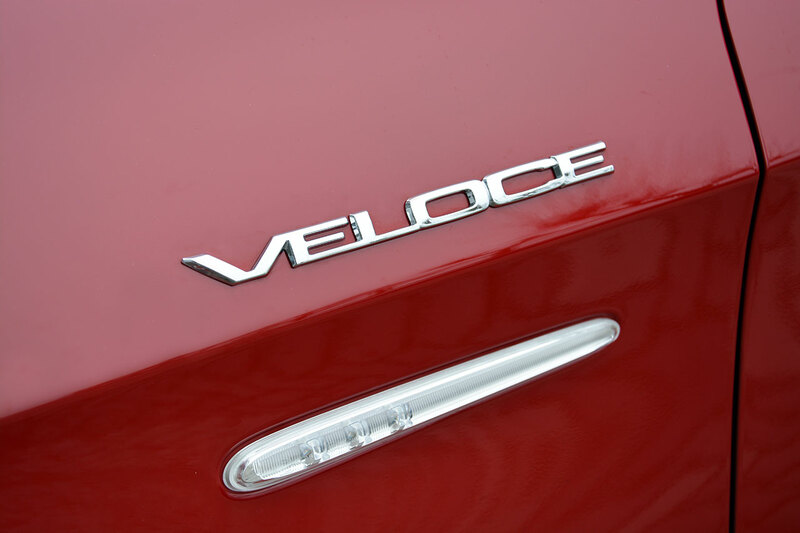 catalytic is awkward in design and extremely restrictive in terms of cell density, and the rear muffler is clogged as well. 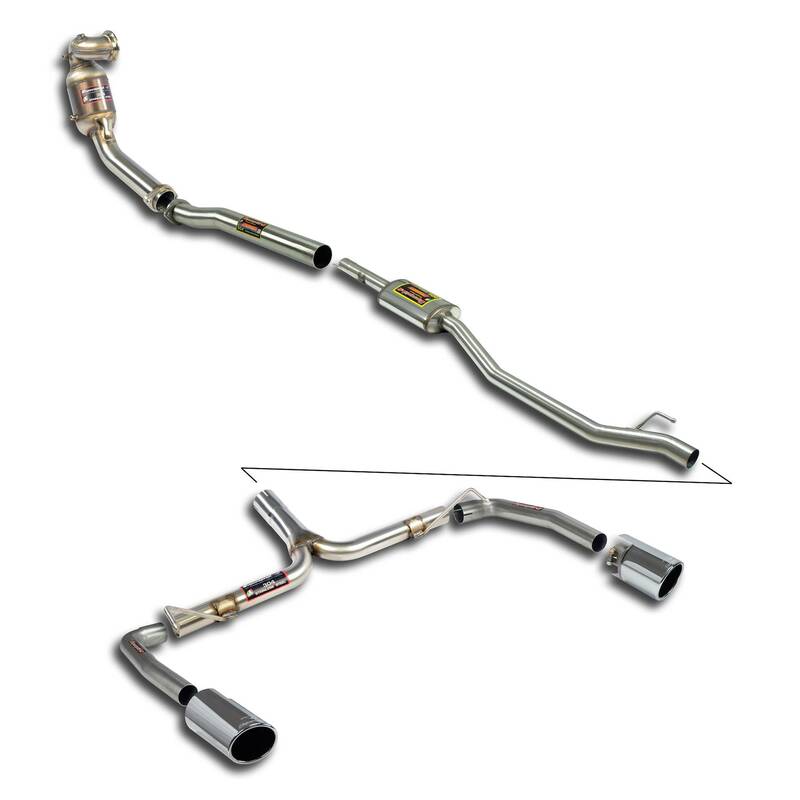 We at Supersprint designed a race Downpipe kit, with smooth bends and a high-volume HJS Mototrsport catalytic, and a free-flowing rear muffler. The final result is astounding. 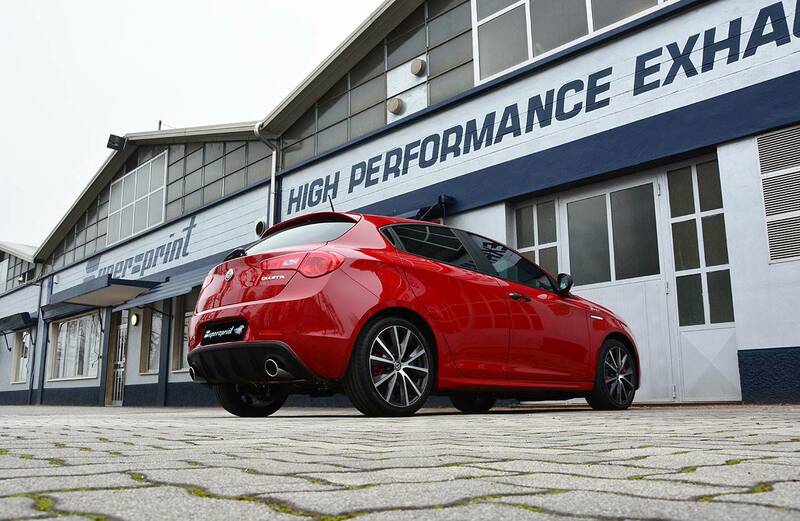 With a software engine tune, the Giulietta Veloce 1750 TBi can easily reach 300 Hp. 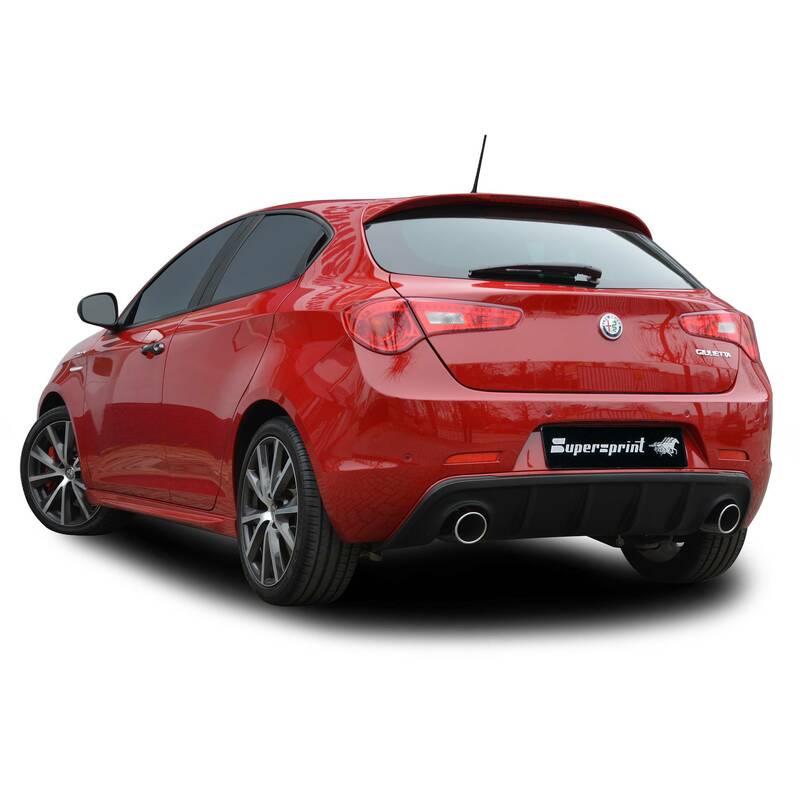 This Supersprint exhaust is available in multiple options, allowing for a high degree of sound and styling customization.